Now I write to you from the Washington Dalles Airport once again, this time on my way home. I have an eight hour layover here until I take my flight to Buffulo this evening! It was a good trip and I feel like we accomplished the task of getting to know the ministry, of discovering their needs, and of working with them to prepare an initial design before we left. I arrived across the border from Zambia on Saturday morning at Kasumbalesa and took a taxi into Lubumbashi on my own. Being familiar with how things work in Africa and how the white person or ‘mzungu’ is often exploited (because for good reason we are assumed to be rich), I managed to talk the price of the taxi down from $80 to $50. It was about an hour drive from the border into the city. There was a bit of a scare when all of a sudden we were getting flagged down on the road by a mob of people. An army officer was unconscious and needed a ride to the hospital. It is a good thing I understood french as the taxi driver explained the situation and asked if I would allow him to take the man in the back seat. How could I say no? I climbed into the front seat as they laid the man across the back bench and then off we went. Fortunately the hospital was not far out of the way and we managed to get him there alright. The hospital looked as bare bones as a hospital could be! A week in Zambia had already dulled the cultural impact of the busy, dirty streets with the ramshackle storefronts, dirt lanes, and scattered debris. Following this adventure I managed to find the guest house easily enough, and had to wait several more hours before the rest of the team was to arrive from the airport. I met a Swiss missionary couple with their little one-year old daughter, who were also staying at the guesthouse while they were house-hunting. A few hours later the rest of the team arrived and we went through introductions. We might hold the record for the smallest eMi team; there were only five of us in total: two architects and three civil engineers. I was the only team member not exhausted from a long flight. We went through some formalities and plans for the following day, made ourselves sandwiches for dinner, and then turned in early. I woke up with a line of twenty-some mosquito bites up my one forearm; I must not have tucked in the netting well enough that night and one got in and went crazy. It was Sunday and so we went to church in the morning. The music was as wonderful as I remembered it to be in Africa – full of raw energy, movement, and sincere praise. The service was in French and I was able to understand half of it depending on how clear each speaker was. The sermon was on unity, a subject I’m guessing is much visited by the Congolese churches in the midst of a country divided in more ways than one. The scripture we read from was Acts 2 where the holy spirit comes down on a gathering of apostles and they begin speaking in different languages. This is amazing because it’s almost as if, just for a moment, God is reversing what he did at the tower of Babel. It’s kind of ironic that my favourite quote of the week came from the Swiss woman, who, after we were all commenting admiringly on how many languages she knew how to speak, exclaimed; “It’s not all it’s cracked up to be; it’s like having the tower of Babel in your head!” Division because of language is particularly the case in the DRC. 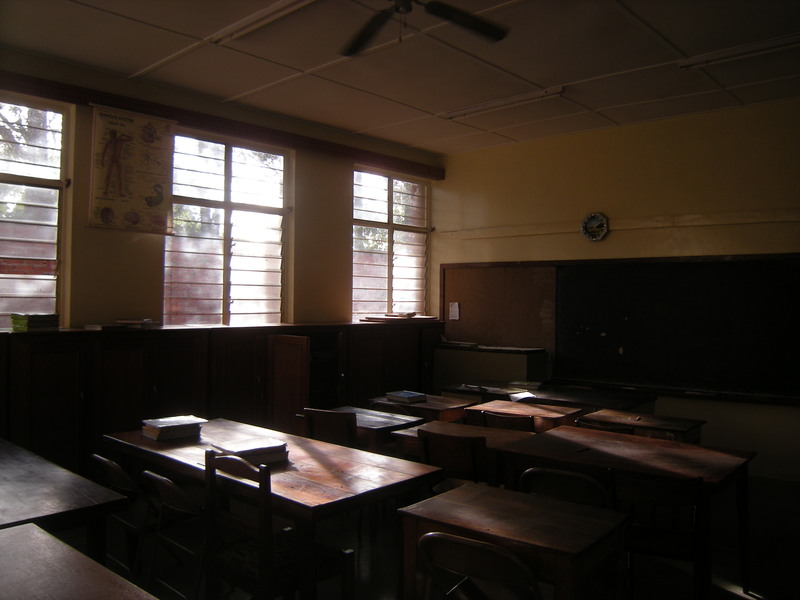 While the official language is french, the country recognizes the four languages of Lingala, Kikongo, Swahili, and Tshiluba (each representing different geographic areas) though there are many more. We human beings can try our best to be united through good policies, nationalism, democracy, or maybe even tolerance, but it is only God who can truly unite and bring peace. 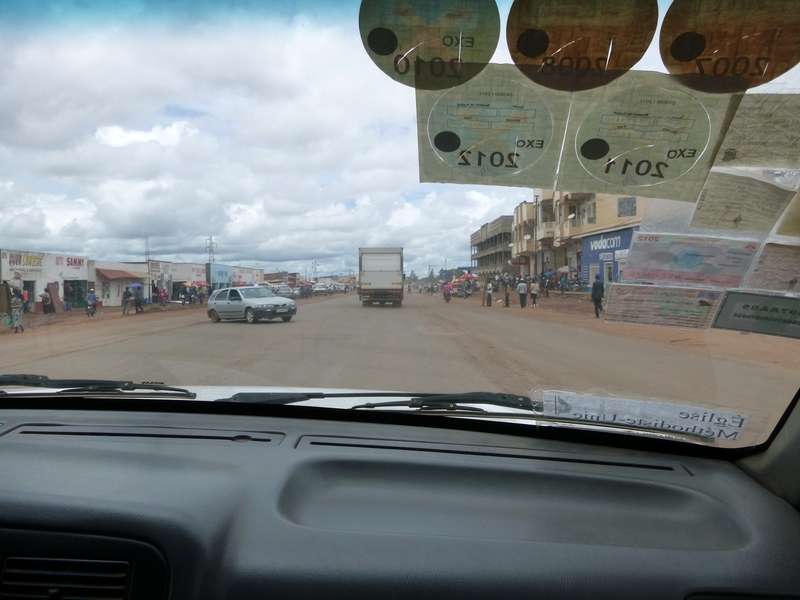 My first perceptions of Lubumbashi were of how spread out is is. It has a population of almost 2 million, and covers an area almost equivalent to the city of Toronto, and yet there are no high rise buildings and no real ‘downtown’ feel. The guest house was in the center of town, but all there really was were walls and gates set back from the road with several meters of grass between. It made the city feel more small town than it really is. Traffic was crazy as Lubumbashi is a through-way of commerce coming from Zambia, and also a center for mining. There is a lot of building going on, anything at the scale of infrastructure being done by the Chinese who seem to have really put their foot here. They are constructing things like new airport infrastructure, paved roads, and even a stadium in trade for access to resources. I wonder sometimes who is getting the better end of the deal. After church we had a lovely meal with two of the teachers and the ministry directors and then we headed out to go visit the existing school facilities. 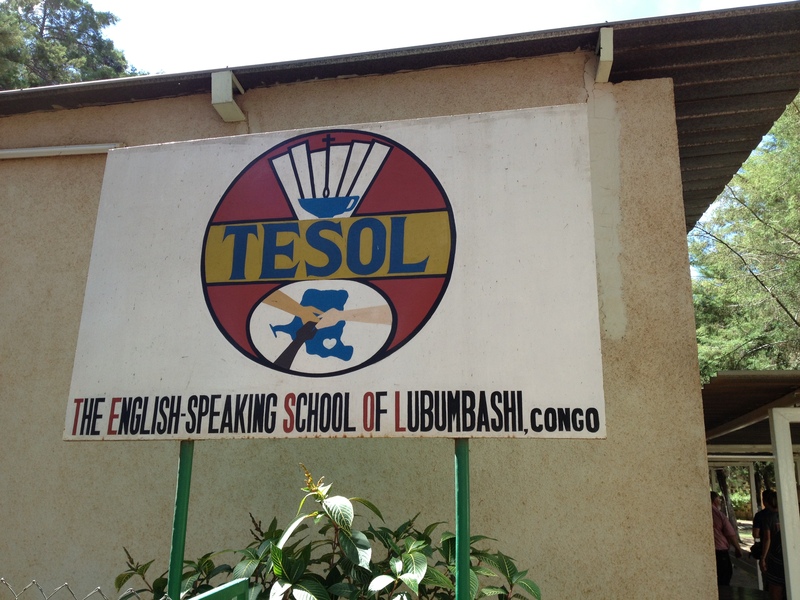 The TESOL School (The English-speaking School Of Lubumbashi) has been around for twenty five years and has survived despite periods of war in the country, and since 2004 it has grown considerably because of the growing international presence in Lubumbashi and growing Congolese population who wish their children to learn English. 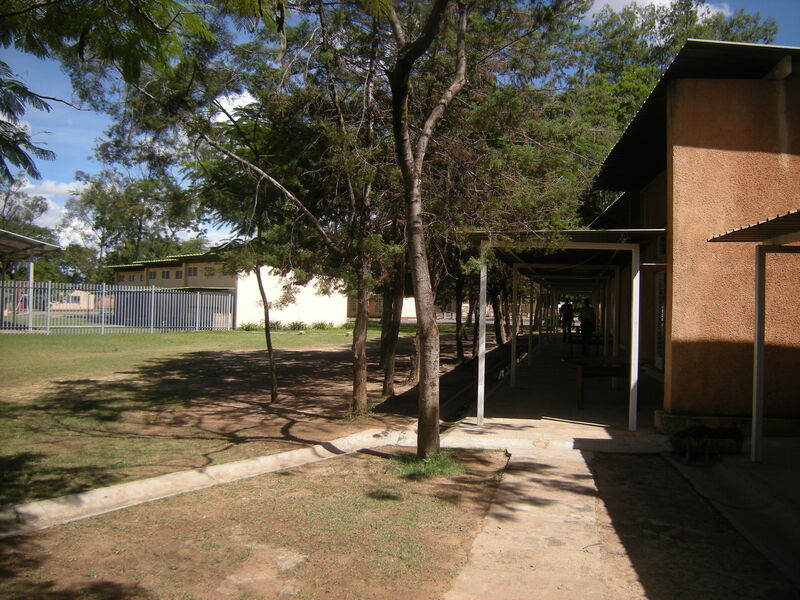 Right now they have outgrown their existing facilities on the campus that they share with the French School and are currently renting makeshift facilities at a second location to house the primary grades. After visiting the two school locations we sat down outside one of the classrooms and went through another round of introductions, this time to really get to know the ministry that is TESOL and their vision, and for them to know eMi. That same evening we were introduced to two national architects who had already been doing some design work on the project. They seemed very excited to work alongside us and learn from us, and we were excited that the ministry had dependable professionals who would bring the project through and who we could learn local practices from. It was a very full but pleasant day and we were off to a good start! I was looking forward to seeing what we could accomplish for this ministry. It was exciting to see a school bringing people with such different backgrounds together, and yet teaching them that they are equal and unified in the sight of God. I just came across this article in World Architecture News. These bad building methods might very well be employed in the DRC as well. It’s so sad what people will do for a profit.